Celebrating its 20th anniversary this year, the legendary Czech band Druha Trava returns to the United States for a month-long tour starting Thursday, Oct. 13 in Park Rapids. Highlight will be the launch of Shuttle to Bethlehem – DT’s first-ever CD to mostly feature English-language versions of singer/songwriter/frontman Robert Krestan’s iconic songs. Park Rapids Community Education and the Park Rapids Area Arts Council are sponsoring Druha Trava in concert at 7 p.m. Thursday, Oct. 13 at the Park Rapids Area High School auditorium. Tickets are available at the Community Education office and will be sold at the door: $6 for adults, $4 for senior citizens and students. 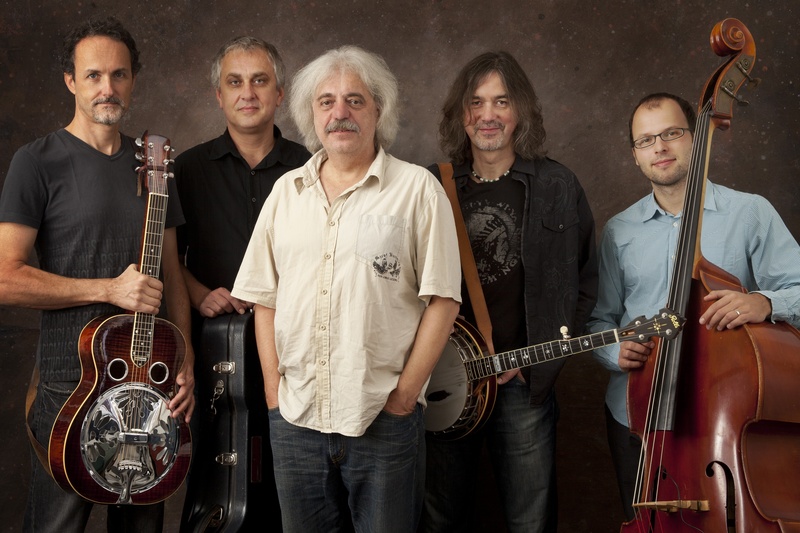 Famed on both sides of the Atlantic for its “Czechgrass” fusion of acoustic, bluegrass, folk and rock, Druha Trava will begin its tour in Park Rapids, with other confirmed dates in Arizona, California, Colorado, Illinois, Iowa, Kansas, Nebraska, New Mexico, Texas, Wisconsin and Washington. DT comes to the U.S. on the heels of other 20th anniversary events at home including TV and festival appearances and tours with American acoustic legends Charlie McCoy and Peter Rowan. This activity is made possible, in part, by a grant provided by the Region 2 Arts Council through funding from the Minnesota State Legislature.